Michael Conti (No. 5) took the lead on Lap 48 and never looked back. 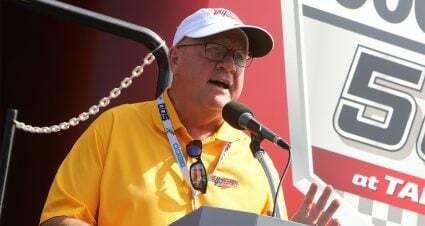 The first race of the 2018 NASCAR PEAK Antifreeze iRacing Series at Darlington Raceway set the tone for the playoffs with several of the top contenders showing why they earned spots in the playoffs. Michael Conti ultimately took home the win with several fellow playoff drivers also having strong top ten finishes including Ray Alfalla (2nd), Ryan Luza (3rd), Matt Bussa (4th), Nick Ottinger (7th) and Keagen Leahy (10th). 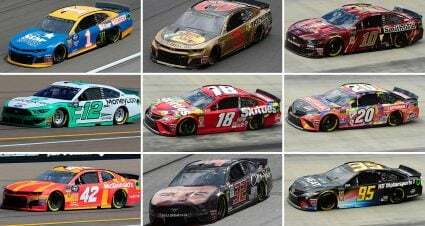 The top eight in the standings qualified for the playoffs after 13 races – these drivers are competing for the $10,000 cash prize as well as a NASCAR championship trophy, championship ring and a trip to Homestead-Miami to receive their hardware on stage in front of the NASCAR Monster Energy Cup Series crowd. 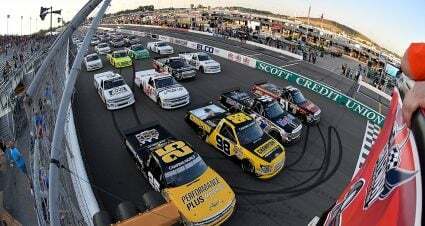 Qualifying was a bit of a mixed bag for the championship contenders with several drivers starting up front while others started back in the pack leaving a lot of work to do on a difficult track. 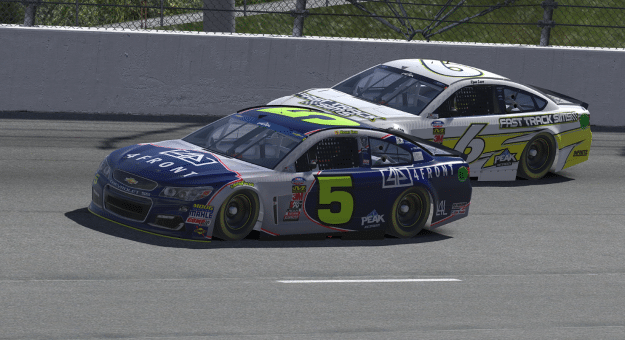 Luza took the green the flag and led the first 47 laps with little drama up front as the leaders settled into the race. A little further back in the field the action heated up as Michael Guest and Leahy had contact on lap 25 with Guest ending up on the short end of the incident. Keegan Leahy (#24) had a rough night after an early run-in with Michael Guest (#54). Playoff contender and former series champion Alfalla worked his way up to 3rd by lap 40 and set his site on the lead pack of Luza and Conti. Lap 48 delivered the first lead change with Conti getting around Luza after riding around on his bumper from the start, while Alfalla continued to close the gap to the leaders as drivers approached the first pit window. The top three positions were held by playoff competitors as green flag pit stops began on lap 59. Conti pitted from the lead on lap 61 followed by Luza on lap 63 and finally Alfalla. After the pit stop cycle the top three shuffled back to where they ran prior to stopping – Conti, Luza and Alfalla. Alfalla took second from Luza at lap 97 and the top three controlled the remainder of the race. 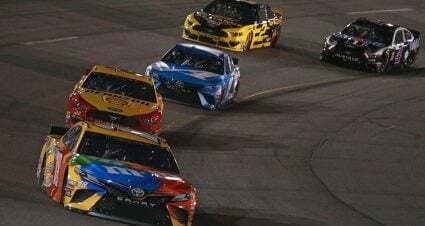 The caution free race played into the leaders hands with no restarts shuffling the order around as yellow flags often do. 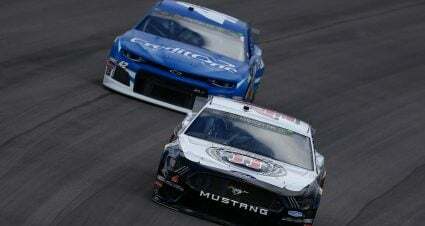 The win guarantees Conti a spot in the ‘winner take all’ final race at Homestead-Miami on October 24th. 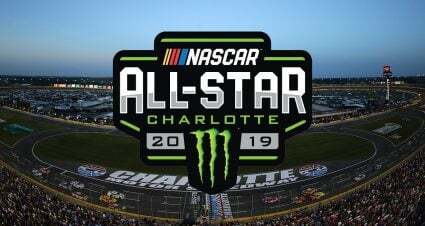 Alfalla, Luza and Bussa are in good position to earn a spot as well based on points – but a win by any of the playoff drivers will get them in so expect some hard racing at the next three races. Bussa had perhaps the most impressive drive after a disappointing qualifying (30th). He was able to work his way through the field all the way up to 4th – even without any cautions to bunch the field up. 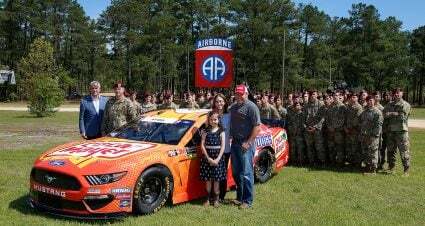 He’ll look to improve his qualifying next round and be in contention for the win. 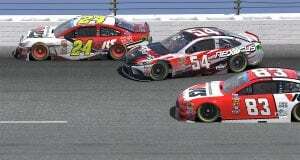 The next race of the NASCAR PEAK Antifreeze iRacing Series is at The Indianapolis Motor Speedway on September 12. Tune it to iRacingLive to watch all the action!